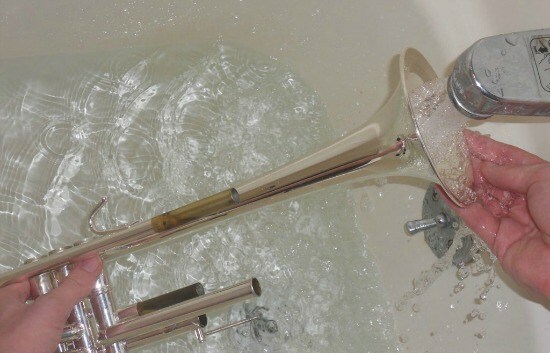 Knowing the best way to clean a trumpet is incredibly important. After all, the mouth that you use to eat food blows into your trumpet’s pipes on a weekly, if not daily basis. It’s important that you perform daily, weekly, and monthly maintenance checks on your trumpet in order to keep it in good standing order. 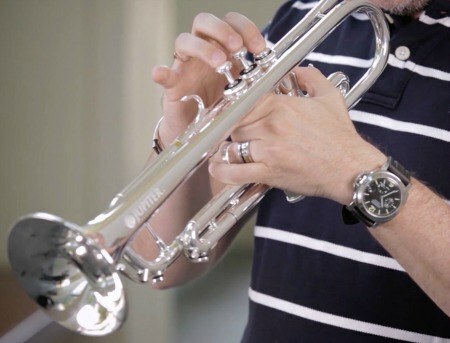 With that in mind, we’ve highlighted some trumpet maintenance tips that you should get the hang of undertaking if you want your trumpet to stand the test of time. It’s important that you wipe down your trumpet after every single use with a microfiber cloth. Start by wiping down all the surfaces of your trumpet with a particular focus on the area where you hold the horn. Be sure to wipe off any water spots with your cloth in order to avoid any corrosion. Depending on the type of trumpet you have, you can also use silver polish to clean your instrument, however, this should only be used to wipe the outside of your trumpet. 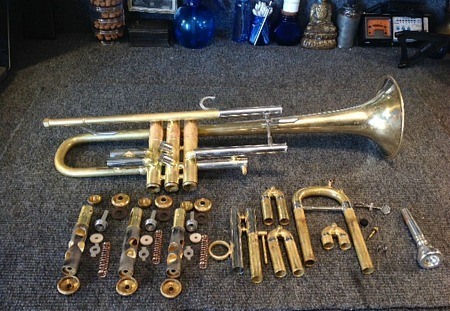 Unfortunately, trumpet maintenance doesn’t just stop at wiping down the exterior. You should also clean the interior of your trumpet every three weeks to a month. Start by pulling out the three valve slides and the main tuning slide and wipe off any grease. Then, remove the bottom valve caps. Make sure you do not use pliers to remove these as you may damage them beyond repair. Once you’ve wiped the valve caps, remove the three valves. Be sure to know which way the valves are facing when they come out in order to put them back in the same way. From there, just soak all your individual pieces in warm soapy water for about ten minutes. Please note, it is important to soak the valves separately without immersing the felts. Once soaked, use the snake to clean the inside of all your trumpet’s body including the bell and the valve slides as well as the valves themselves. Remember to clean the mouthpiece as well. Once scrubbed clean, rinse everything and leave all your pieces to dry on a towel to avoid corrosion. Use lubricant on the slide and wipe off any excess with a paper towel. You must also rub a small amount of lubricant on the top and bottom valve casing threads. This procedure should be undertaken a minimum of once every two weeks. Before reinstalling your valves make sure you oil them and then click them back into place facing in the correct direction. Be sure to put your valves in the right direction from the get-go as turning them in their casing can damage them over time. Once you’ve oiled all your valves and your trumpet is back together as it should be, test it by blowing air into it while pushing on each valve at a time. 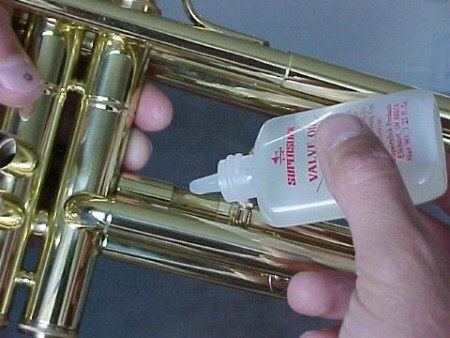 Knowing the best way to clean your trumpet is essential to keeping it in good working condition. It’s also a sure fire way of avoiding any trips to your local store for new parts and other expensive activities. Make sure you reapply oil on your valves everyday or two depending on the amount of times you use your trumpet and always keep your trumpet in a hard case, away from small inexperienced hands.